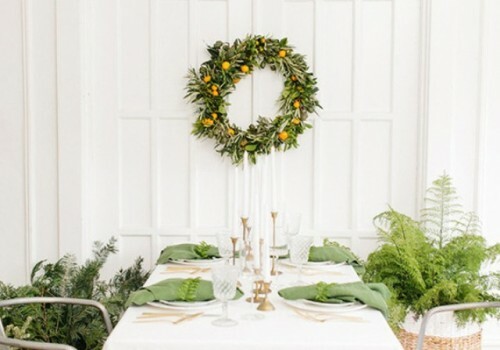 This orange and olive wreath can become the focal point of the holiday wedding décor, and it’s ideal for those who want to replace the traditional holiday color story with bright, unconventional details. The list of supplies is pretty short and the steps are easy. 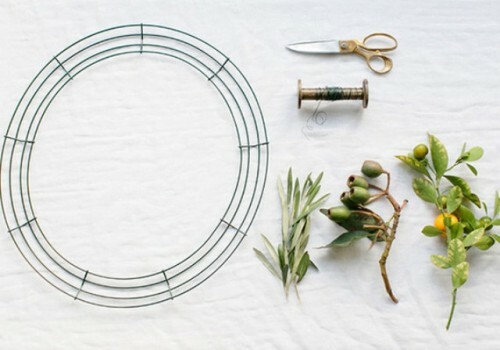 The supplies are olive greens, green eucalytus pods and baby oranges, wire, wire clippers, 18″ wreath form. 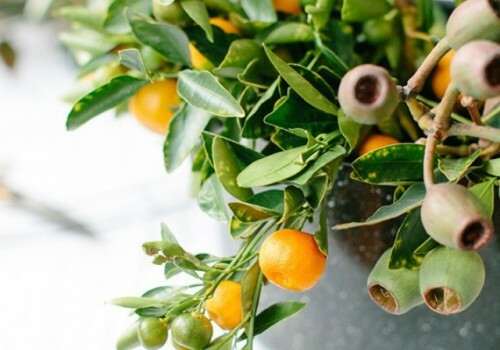 Gather clusters of the olive, pods and baby oranges and wire them to the wreath form. Repeat until finished. 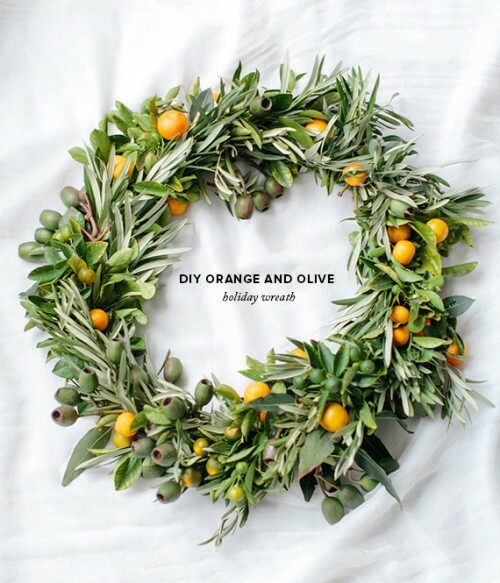 You have a simple but easy wreath that will last a long time and avoids all of the common holiday looks. 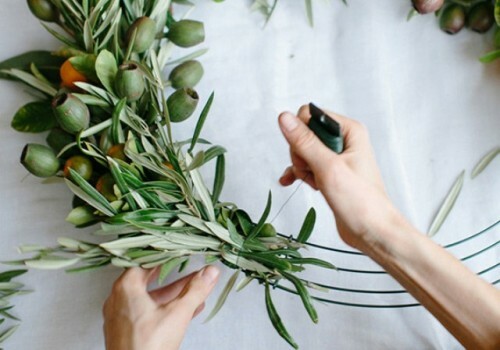 So easy-peasy and beautiful!